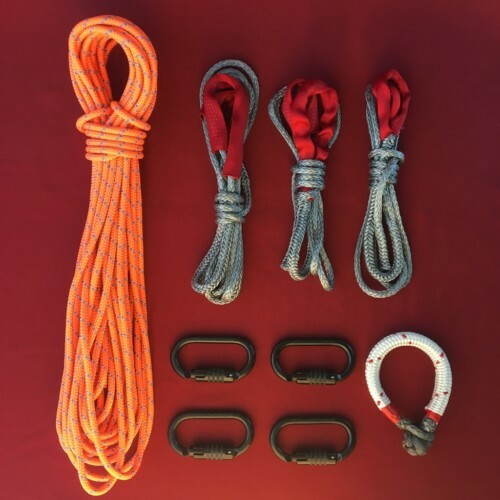 The Alpine Extreme Anchor Kit is the top of the line in highline anchors. 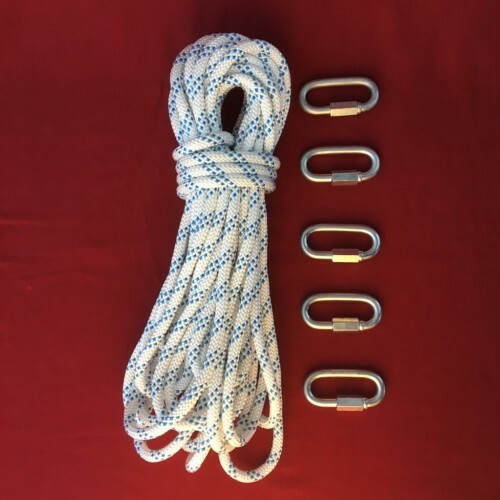 The 20m of 8mm Anchor Extreme rope has a strength of 24kN and weighs only 42 g/m. The Technora sheath strands provide unmatched cut resistance protecting your rig from abrasion. 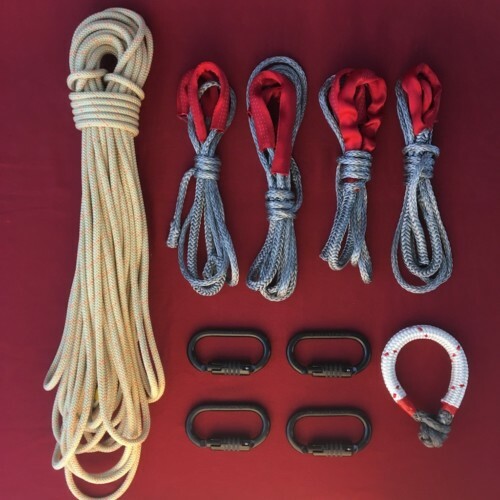 The 100% Dyneema core strands create a high strength and light weight rope. 4 CARB Steel Auto-Locking carabiners and whoopie sling backups complete the kit. If you are looking for the highest level of performance available, this is it! USD $ 22.41 / pc. USD $ 35.86 / pc. 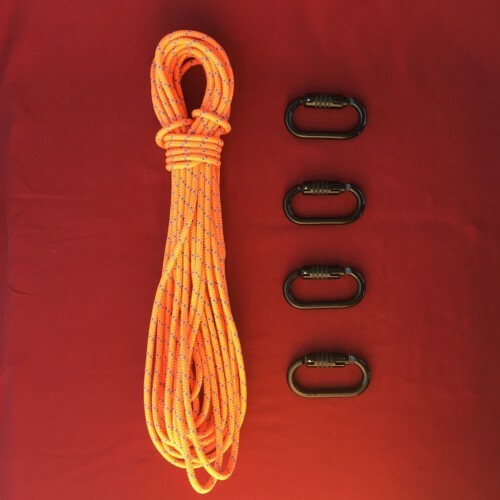 The Technora sheath strands provide unmatched cut resistance protecting your rig from abrasion. 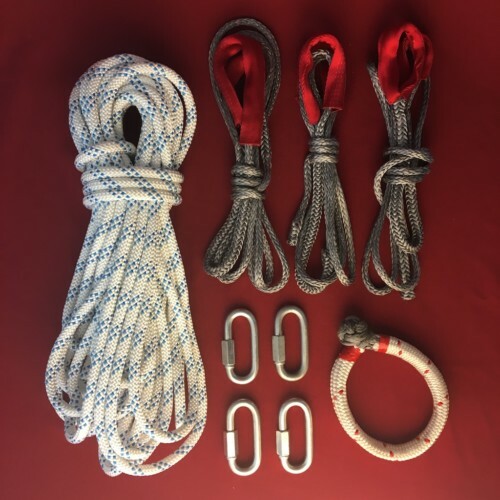 The 100% Dyneema core strands create a high strength and light weight rope. If you need the highest level of performance available this is the choice! Use with a Totem or Critr 2 only! Do not use an ATC style device or Pirana Descender.